LM Series compact design flask mixer features integrated drive and stirring seal allowing direct installation of flask and stirring in a vacuum and sealed state. No time-consuming shaft alignment required. 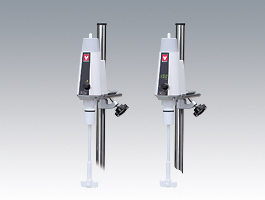 Its strong stirring power is perfect for samples of high volume and high viscosity.